Over the years, man has discovered different methods of cooking food. Roasting over the fire, boiling, steaming, frying, and baking are just some of it, and one thing they have in common is that they all require heat. When you think about cold food, your mind immediately goes to desserts like ice cream, right? But what about breakfast food? A lot of people want to lose weight. However, it can turn into a struggle when you need to cut back on certain food and follow a strict diet to shed the pounds off. Usually, people would reduce their carb intake and up their protein consumption to cut off fat-causing food and instead try to build some muscle. One of the food options of dieting people who want to feel full without overeating is oatmeal. It’s a real treat because you can eat it plain or add in some of your favorite fruits and grains for extra flavor. You can also try unsweetened organic oatmeal, then add some sliced fruit. Now, you have the option to put it in the refrigerator if you prefer it cold. This helps in your weight loss as your body will have to warm up the cold food, raising its basal temperature to be able to heat the cold oatmeal so your gut can digest it properly. It doesn’t consume too many calories, but it still uses up more than when you eat food that’s already warm. A few more calories you use up means a few more that you’ll burn, which can help speed up, even for a little bit, your weight loss goals. For food like meats and fish, the reason you cook them is not only because they’d taste better, but also to kill bacteria. However, there are also meats and certain seafood that people eat raw like sushi and yukhoe, which is a Korean raw meat dish. Though you most likely won’t be eating those for breakfast. 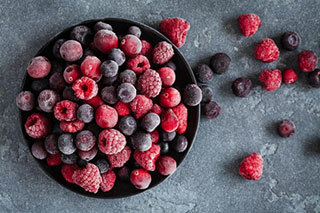 If you want to start your day with a healthy and cold breakfast, try cold fruits. Those food options retain most of their nutrients if they are eaten raw. When you cook fruits along with you meal, they usually lose some of their nutritional value. Of course, there are a few exceptions, such as the tomato, because it actually has more lycopene after it’s cooked than when it’s raw. You can try making fruit wraps for breakfast. Cut up some fresh fruit and wrap them in tortillas, along with some peanut butter. You can prepare them the night before and store them in the fridge, so they’re ready to eat once you wake up. You get a nice and yummy breakfast, and you won’t feel guilty about eating it because it’s healthy, too. It’s not even strictly breakfast food because you can also eat fruit wraps as snacks. You can pack some for your kids, too, so they don’t have to buy junk food at school. Vitamin C is essential for your health. It helps fight illnesses such as the common cold and the flu, as well as reduce heart disease risks. The antioxidant helps in regenerating and repairing tissues, fight free radicals, improve iron absorption, and boost the immune system. 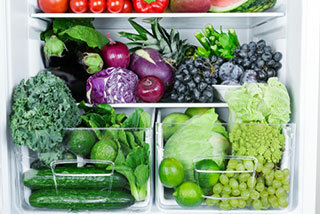 Vegetables are rich in vitamin C, and like fruits, they are best eaten raw. You could miss out on the vitamin C of vegetables if you cook them. Remember, the crunchier vegetables are, the better. You can add cold vegetables to your breakfast like putting some lettuce, spinach, or avocado on your breakfast sandwich, or you can simply go for a bowl of salad. Gone are the days when you only eat food after cooking or reheating them. In this fast-paced world, sometimes, you don’t even have time for those. But now, you can get food straight from the refrigerator and eat them even if they’re cold. Cold food options have their benefits, but make sure they are also fit for consumption even if you don’t cook or heat them.